Sometimes the simplest thoughts can make the biggest statements, and this little gem is one of them. Although the notion isn’t new, when I stumbled on these 5 little words recently they hit me like a ton of bricks. As far back as I can remember, my own path to happiness has been via approvals from others—parents, friends, teachers, coaches… you name it. Every shiny gold star or pat on the back made me feel valued, and that made me happy (and still does). Now that I’m older, there are even more places to seek approval, though: spouse, kids, clients, mentors, colleages, blog readers, facebook and instagram followers—you get the picture. That never-ending quest for those gold stars is addicting, but also paved with frustrations, not to mention totally exhausting. I’ve been wrestling with these approval-related frustrations a LOT lately—especially when it comes to work. Projects that I’ve felt super happy about (even proud of!) have quickly turned to breeding grounds for self-doubt when they didn’t garner the reaction I was hoping for. Stepping back though, I’ve realized that nothing actually changed about the work in question except for my own perspective on it, and that’s one thing that I can control. This same rule applies to anything in life. Whether it’s that moment when your 3-year-old spills juice all over the floor you just cleaned, when your spouse somehow fails to notice the fantastic haircut, or when a co-worker responds to your brilliant idea with another nonchalant shrug. We can’t control all the external factors in life, but we have full reign on our internal reaction to them! When it comes to planning parties—no matter the size—always start with a theme and “inspiration piece.” This will make all your planning-related decisions so much easier. 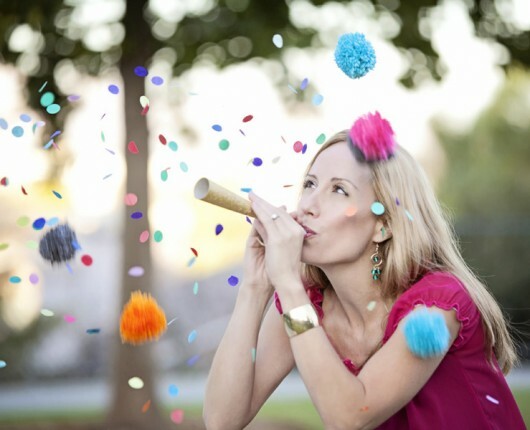 When I first started HWTM back in 2006, we were hard pressed to find great party inspiration online. Cut to today, and we are overloaded with it from every direction, so it’s imperative to have something to help tighten your focus before you before you get sucked into Pinterest oblivion for hours on end, resulting in way too many ideas to fit into one party (or even one lifetime). That’s the kind of thing that can leave you feeling overwhelmed instead of inspired. 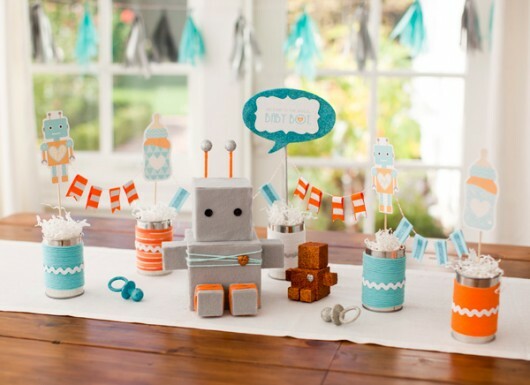 Your theme can be as general as “Italian food” or a favorite color palette, or as specific as “Modern Robot Baby Shower”. The “inspiration piece” can be anything from a favorite textile swatch or recipe to a great image that captures the vibe you want for your own party. The important thing is for you to have something to reference. Does that cool centerpiece you stumbled on match your inspiration piece? Great! Do those pretty drinks really go with your theme? Not really… next! We all get bored with our hair at times, and sometimes you just want to try something fun and unexpected! I can’t commit to any sort of long-lasting crazy hair color right now due to work, but my hairdresser put a “wash out” pink hair color on me that ended up being the perfect solution. It’s called COLOR.BUG by Kevin Murphy and is basically “make up” for your hair.